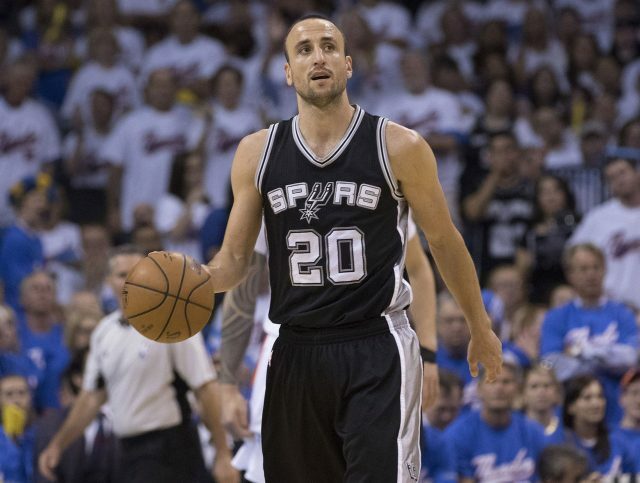 Ginobili will take his time before making retirement decision. 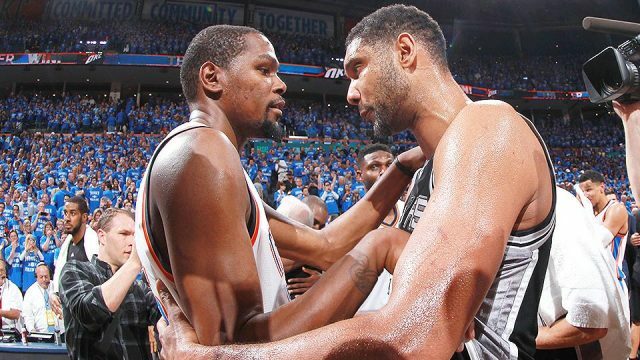 NBA playoffs: Thunder bounce Spurs; Tim Duncan’s future in doubt. 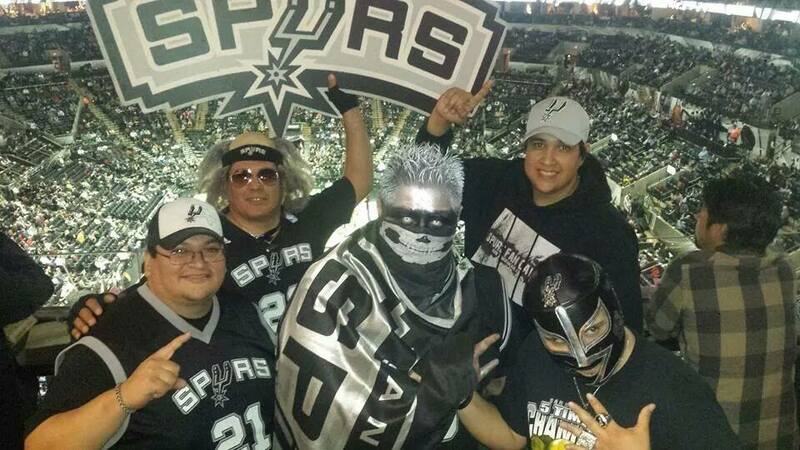 Remember The Alamo! 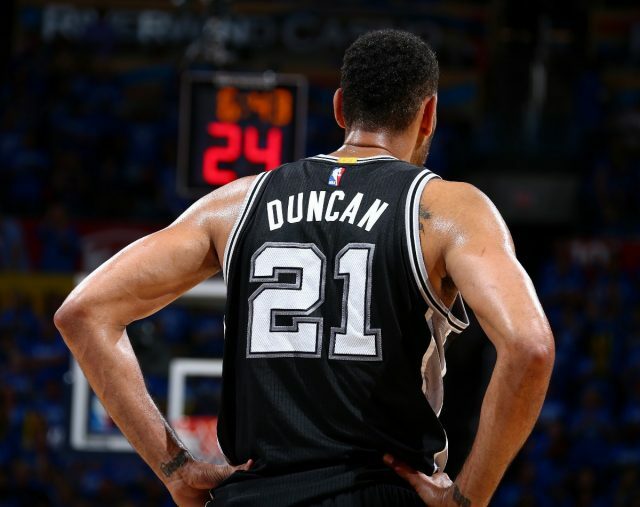 And Remember Tim Duncan. 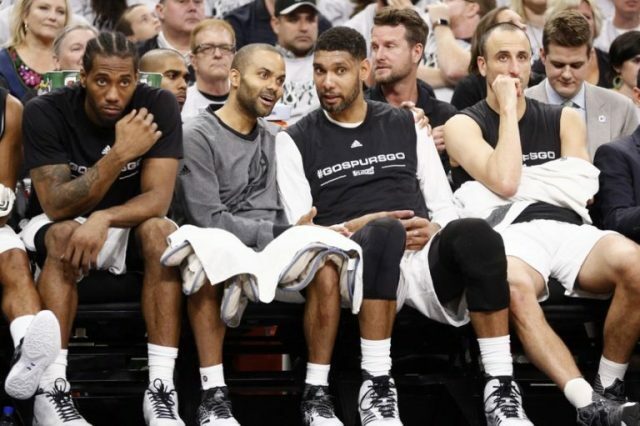 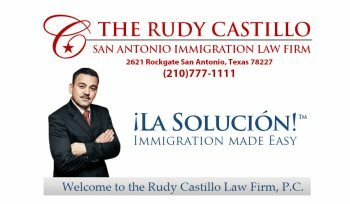 San Antonio Spurs: The Price of Loyalty. 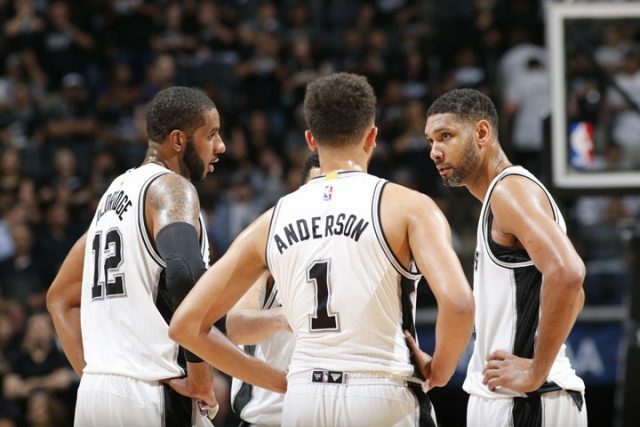 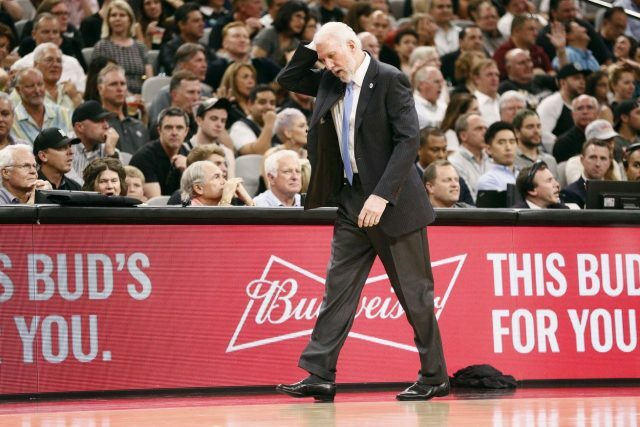 The Spurs’ season isn’t over…yet. 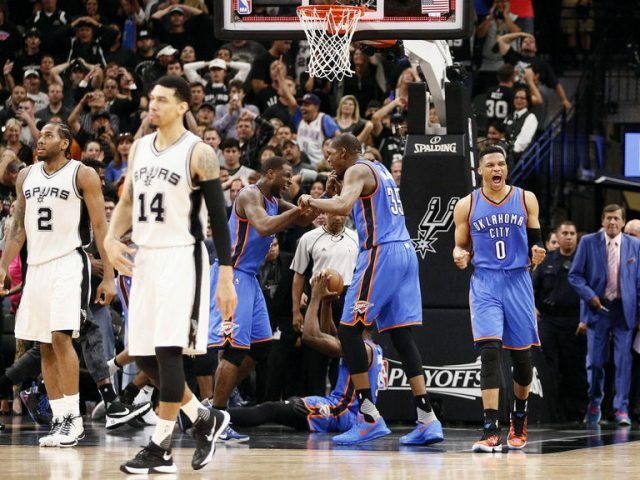 The Officiating Was Fishy As The Thunder Stunned The Spurs In Game 5. 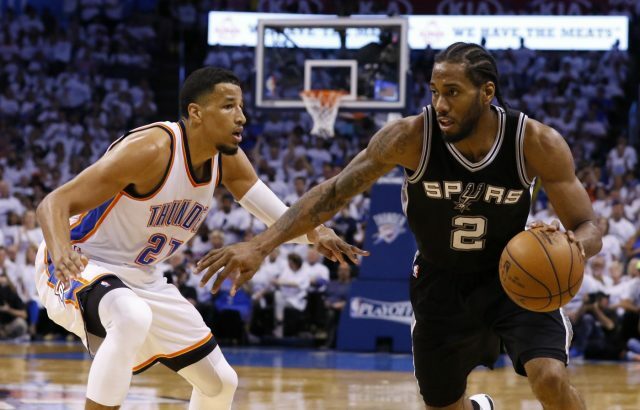 Kawhi Leonard Is Still A Humble Superstar. 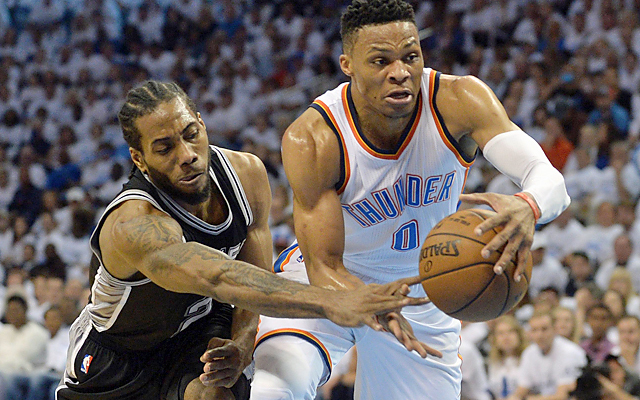 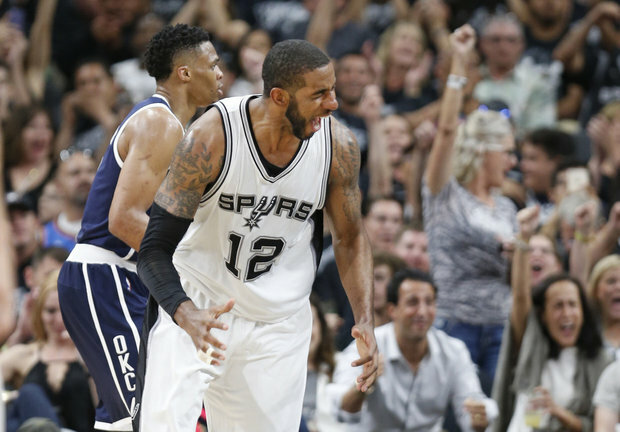 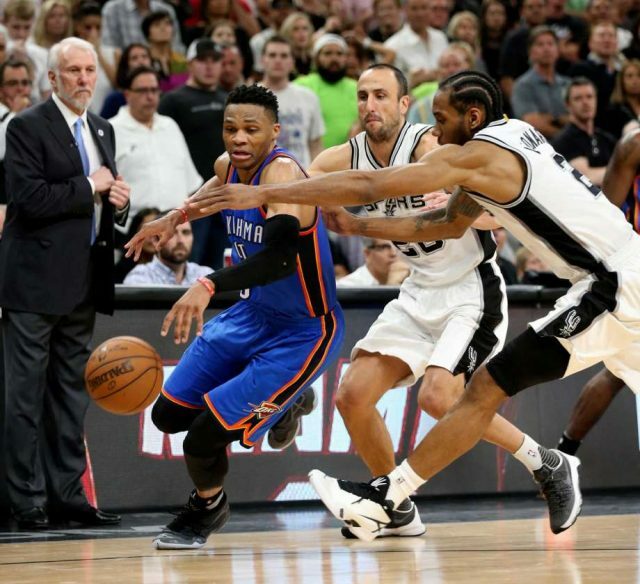 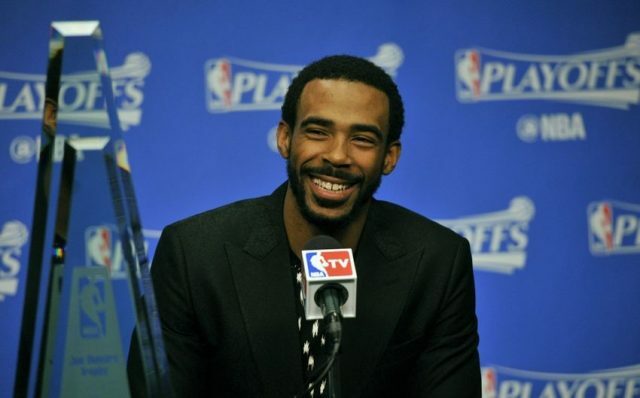 10 things you need to know about OKC-Spurs before ‘pivotal’ Game 5. 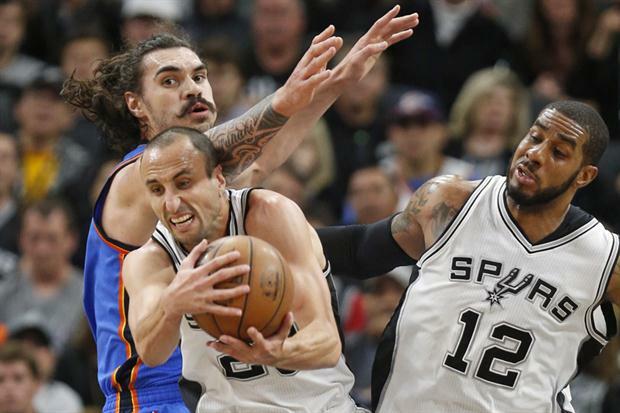 Spurs Not Themselves In Game 4 Loss To Thunder. 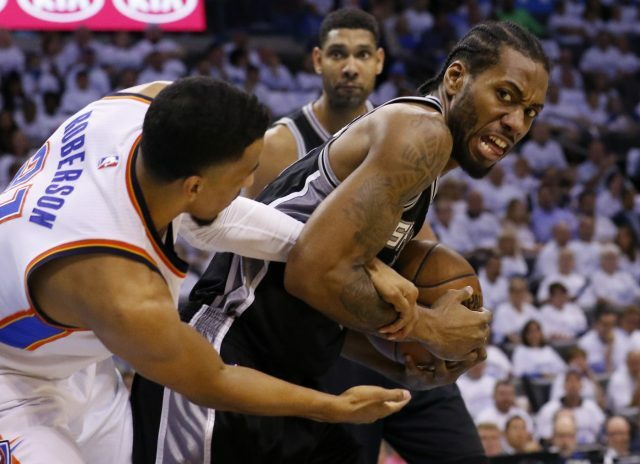 Spurs game 2 ends in the worst no call in NBA playoff history. 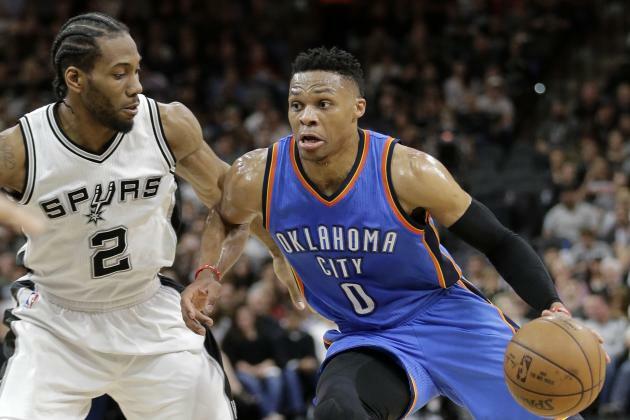 Spurs braced for history and Thunder.